Friends, the template I will talk about today will be very much like you. Yes dear friends This theme is brand new.Using it you can look like your website like WordPress. Not only this, it has even more features. All of which would be liked. 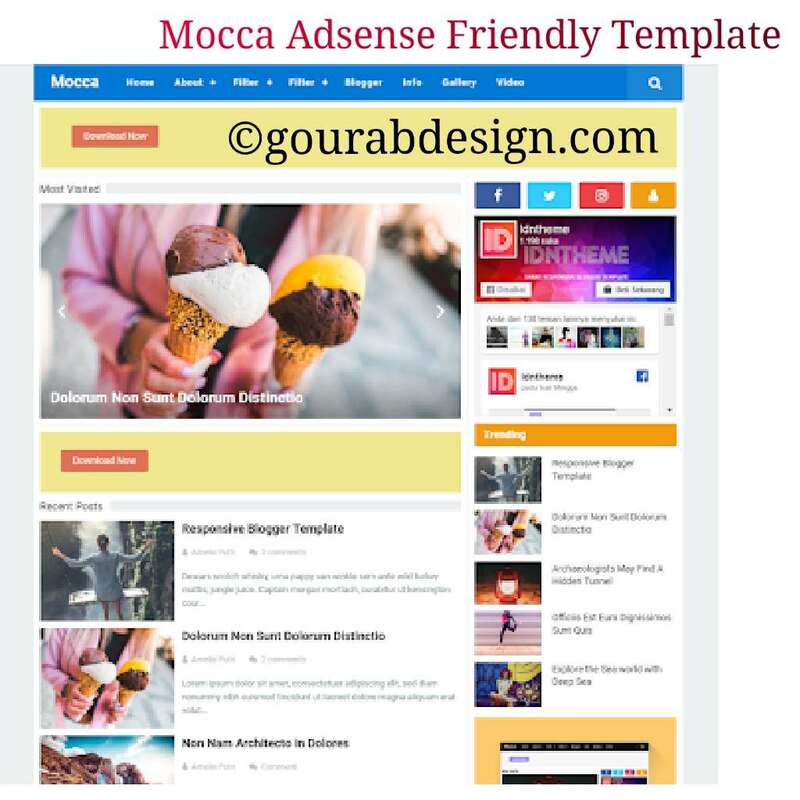 Todays post we are discussing Mocca Responsive Mobile Friendly Blogger Template . This is a seo friendly blogspot theme . This means that when you use it, your blog's SEO will be fine. the rank every post that you will write. And you know that everything I say is true. That's why I will say this to all of you, just download it right now. After several days this is the first post related to my theme. I wrote this topic on a lot of days ago. Today I will write the book for you in this topic. ✓ Install it first in your computer. After that, extract it with the help of any zip software..
✓ Now see, it will be of a XML version. Open it in any notepad. Then copy all the code in the XML FILE. > Theme >> EDIT HTML >> SELECT ALL THE PREVIOUS CODE DELETE IT FIRST. >> Now in this box, paste the code you copied from the XML version, paste it here. Now you visit your website. Seeing the new design will come in front of you. Like I would have seen clicking this demo of the demo button. This is a fully responsive , Fast loading and Also best suitable for Business or personal blog. I use it in my other site. So thought that you tell the people about it too. So that everyone can get help. How do you like this post? Of course we would like to say And if it is Useful, please share it in social media.